When you have a plumbing issue or need water damage restoration, you should work with a licensed plumber with years of experience. 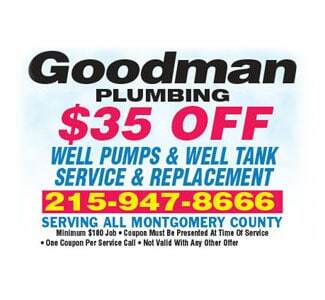 When you call Goodman’s Plumbers that’s exactly what you’ll get and we have an A rating on Angie’s list and a 5-star rating on Yelp to prove it! Water Heater Failure: If your water heater suddenly bursts or has issues with the supply line, we can repair or even replace the unit. Failing Washing Machine Hoses: Your hose should be replaced every third year and also consider an upgrade to braided steel. Improper Toilet Flow: Overflow and clogs are the main cause of toilet leaks. Check to make sure your toilet tank and bowl refill properly. 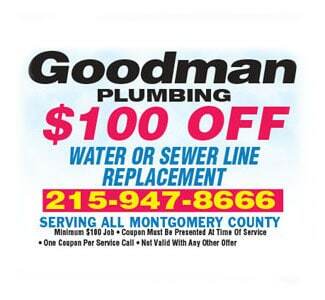 Backed Up Sewer Lines: Sewer lines are common culprits of residential plumbing issues, especially in older homes. Unknown Plumbing Problems: Unusually wet soil or even rust stains can indicate any lurking issues. Burst or frozen pipes: From assessment to sanitization, we’ll identify and remedy the root of the problem. Cleanup for water heater leakage: If your water heater is damaged, we will clean up the mess. Acting quickly is key, so we’ll get right to work. Sprinkler system repair: When your sprinkler system is on the fritz, we’ll be there and we can even help you get the moisture out of your walls and furniture. 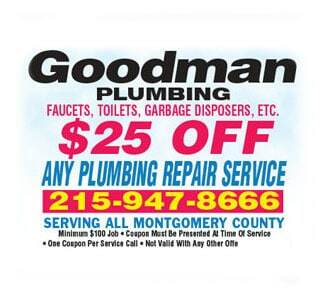 Common plumbing leaks: If you experience any of common plumbing issues, we can fix it up in no time. Initial Assessment: To make sure we fully understand the issue, we’ll locate the problem pipe and determine the extent of any flooding first. Next, we eliminate the dangers associated with gas and electrical equipment before moving forward. Extract Water: Standing water is the perfect home for bacteria and mold, so we use industrial equipment to remove standing water. Check All Pipes: Once we get the excess water out of the way, we check to make sure all your pipes are safe and operational. Drying and Dehumidifying: We use a process called sublimation to remove excess moisture from hard and soft surfaces. Water Damage Restoration: If your basement requires extensive repairs, we’ll coordinate the restoration schedule to fit your timeline and minimize delays.